International Motorsport is renowned for being New Zealand's and one of the world's largest professional race teams. From their list of achievements it is evident that they have a proven track record of winning a wide range of motorsport championships during their years of racing. After more than 50 years in the motorsport industry, International Motorsport recently also expanded into the market of restoration and customization. International Performance Classics now takes up much of the space at the IMS premises in Pollen Street, Ponsonby. With their expertise and skill, the IPC team can take a customer's dream or idea and turn it into reality. 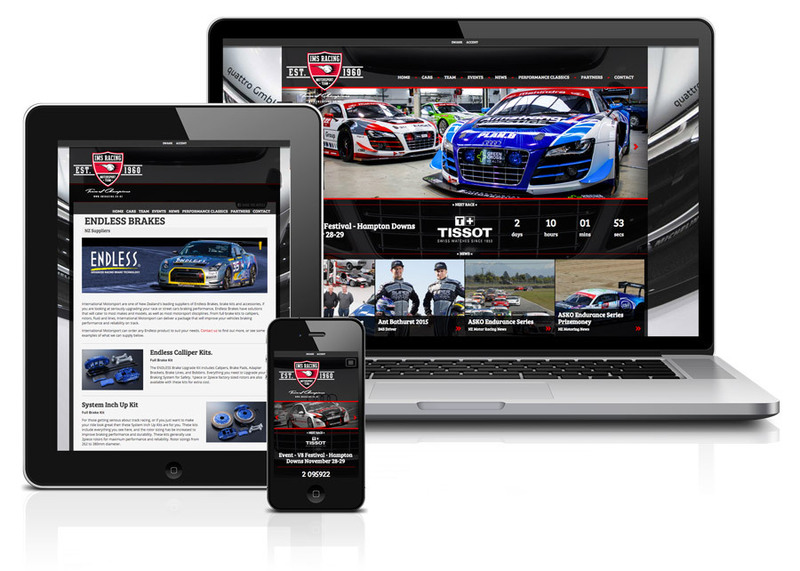 International Motorsport came to us in need of a redesigned, redeveloped and responsive website platform. They had a single website trying to cover many facets of their business and while this was good for keeping everything in one place, it was hard to manage and became cluttered after many years. We made it easy for the team by giving them a single CMS to drive their 4 websites in the group, giving them the ability to share content easily between them. The IMS Racing site has been built with information in mind, making it easily found by the client the most important thing, from news to services, merchandise to team information everything is easily accessible from the home page.